Kid's & Video Games. 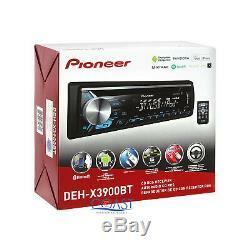 Pioneer Single DIN, CD, MP3 Bluetooth Receiver. Dual Zone Color Customization Illumination w/ Over 210,000 available colors. Theft-deterrent, detachable face plate with anti-dust design. ARC (Advance Remote Control App) - allows a smartphone to act as a radio remote control for the single DIN radio/CD (works with an iPhone 8.0 or higher or Android 4.2 or higher). Built-in Bluetooth technology for hands-free talking and audio streaming. Includes an wired microphone for clear and distortion-free talking. Automatically connect two devices when in the vehicle. Browse music libraries on smartphones wirelessly. "Guest Mode" allows a user to add and replace a third mobile device instantly. Siri Eyes Free for iPhone 4s or later. Pioneer MIXTRAX creates a nonstop mix of your music with DJ-inspired effects. Pandora control via Bluetooth for Android Devices only. CD text, MP3, ID3 Tag Display. Connect, Control, and Listen to Music from an iPod/iPhone via USB. Pandora control is compatible with iOS devices (physical connection required). 5-band parametric equalizer with 7 selectable tone curves. 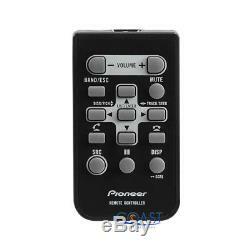 24bit Digital Analog Converter (DAC) to enhance MP3/WMA playback. Advanced Sound Retriever for Compressed Audio Enhancement. Output: 2 Sets of 2V preamp outputs (front, rear/subwoofer). Front Aux Input : 3.5mm headphone jack allows connection to portable media devices such as MP3 players. Front USB Input: USB port allows connection to digital devices such as flash drives, portable media players, etc. CD-IU52 USB interface cable available for Lightning models. 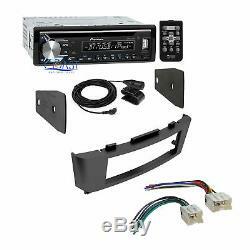 Best Kits Single DIN Installation Dash Kit/ ISO Radio - Black. 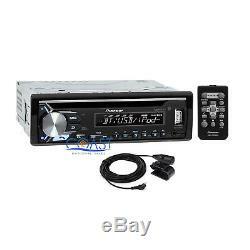 Accommodates DIN or ISO DIN radios. 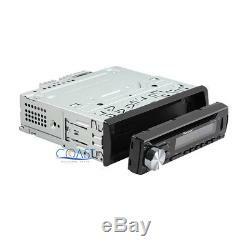 Compatible with 2000-06 Nissan Sentra vehicles. Designed and contoured to match factory dashboard. Showing a gapless fit between the dash and the kit. Painted to match factory dash color. Plug into Radio Wiring Harness. Pre-stripped to make installation quick and easy. No cutting of factory wiring needed. Blue with White Stripe - Amp Turn-on. Green Left Rear Speaker (+). Green with Black Stripe Left Rear Speaker (-). White Left Front Speaker (+). White with Black Stripe Left Front Speaker (-). Purple Right Rear Speaker (+). Purple with Black Stripe Right Rear Speaker (-). Gray Right Front Speaker (+). Gray with Black Stripe Right Front Speaker (-). Vehicle Compatibility Chart may vary depending on vehicle options, production dates, and install application. The harness will not work with vehicle equipped with a premium factory sound system. Single Din: 180mm X 50mm (7.086" x 1.968"). 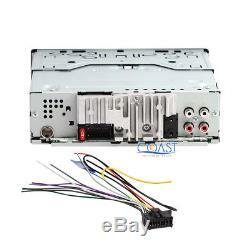 Single Din Radio Face Size Max: 6-3/4" x 1-7/8" (171.45mm x 47.625mm). Local pick-up is available by appointment only, please inquire for more information. We are not responsible for any excess charges. Return for replacement within: 14 days. Powered by Solid Commerce The All-in-One Listing, Inventory & Order Management Solution. The item "Pioneer Car Radio Stereo Bluetooth Dash Kit Harness For 2002-2006 Nissan Sentra" is in sale since Monday, September 25, 2017.